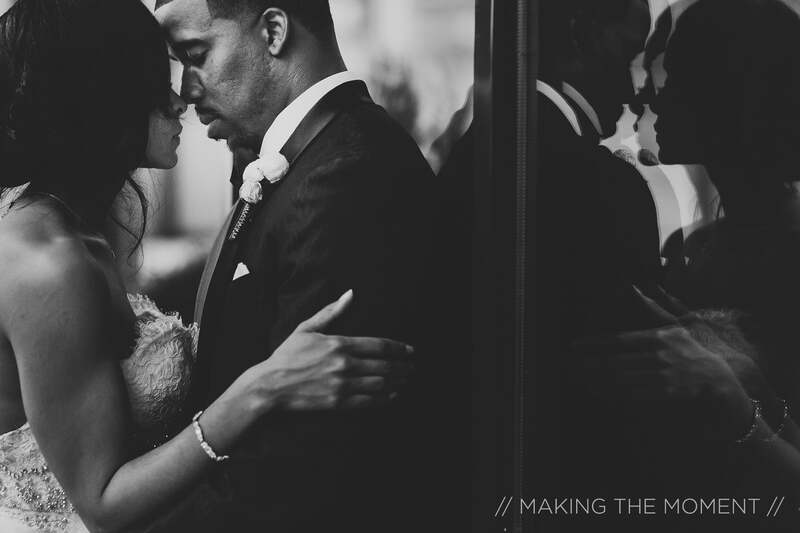 Newlyweds Daven and Naeemah weren't looking for love the day they met, but it found them anyway. After a marathon 12-hour late night call, they knew they were soul mates. 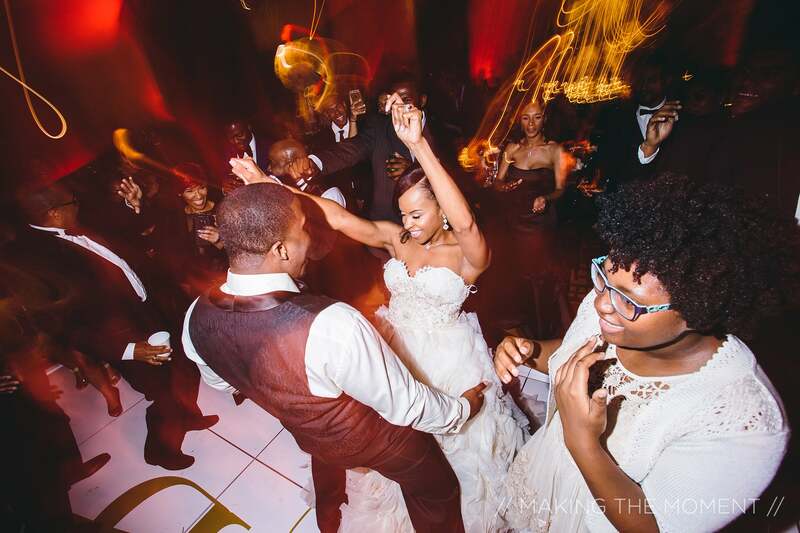 He popped the question on New Year's Eve and their big city wedding was a party to remember. 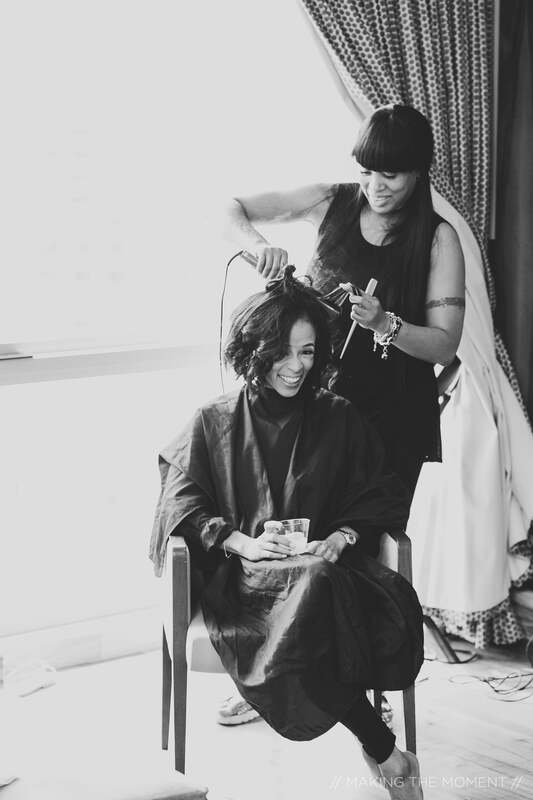 "It felt great to be a bride," Naeemah shared. "It was all that I dreamed it would be. It was one of the best days of my life." 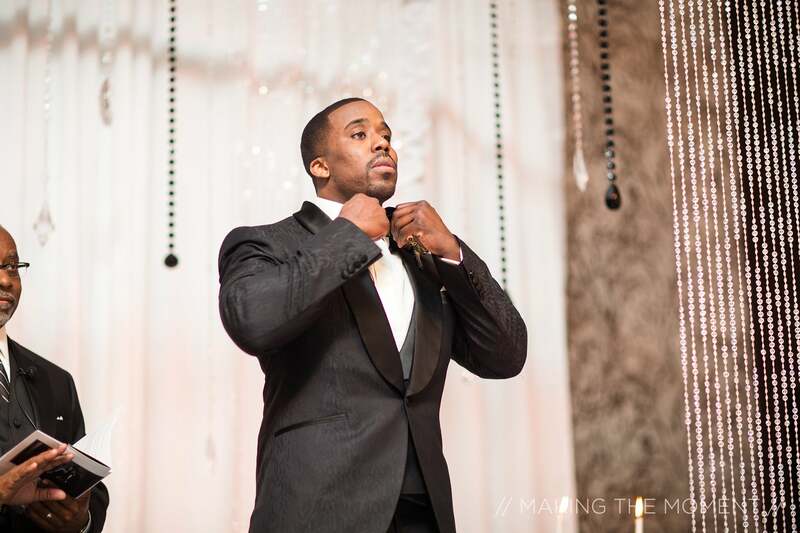 "It felt excellent to be a groom," Daven said. "It was everything I dreamed it would be and more." 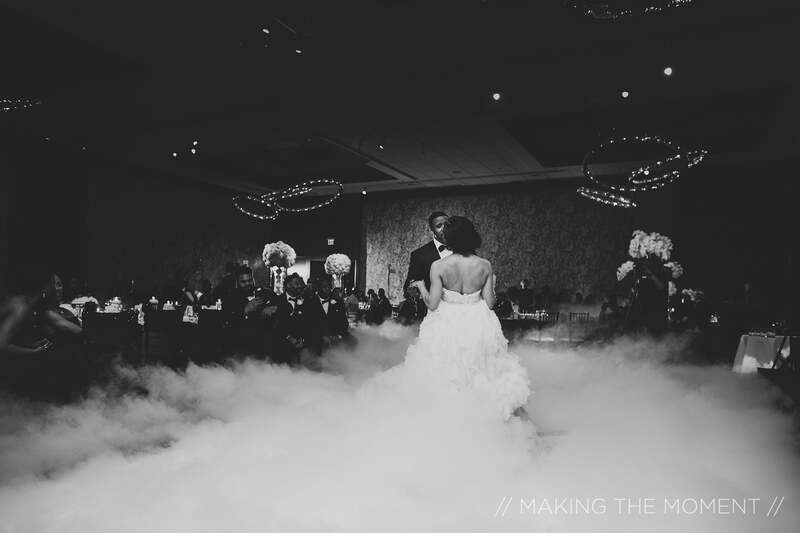 "To my surprise it was actually quite easy selecting my dress," the bride said. 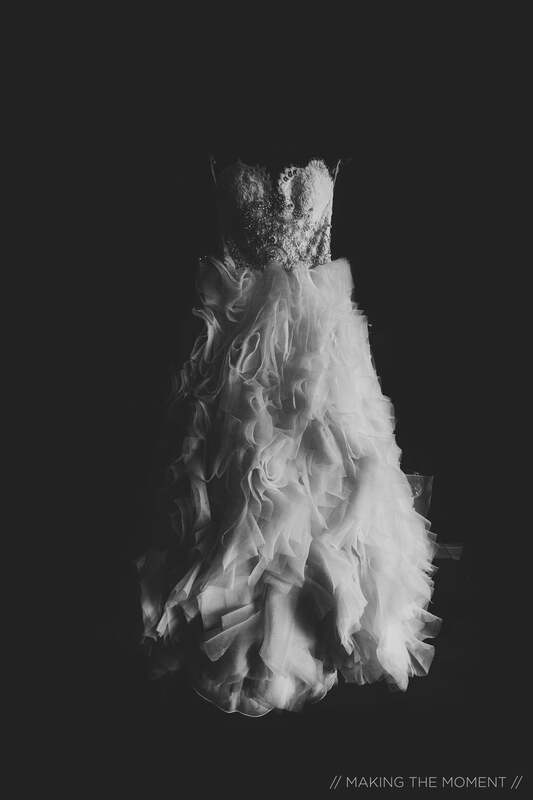 "I have an extremely difficult time making decisions so I thought I’d be traveling the world to find the perfect dress. But to my surprise I found it in my own backyard. I only went to one store. My sister actually convinced me to try the dress on, and I reluctantly did because it was the furthest thing from the style from I was looking for. I always envisioned a very form fitting mermaid style dress. So needless to say I was very surprised when I instantly fell in love after trying it on. However I wanted to make sure it was really the one so I did not buy it that day. I took some time to think about it and went back a few weeks later. 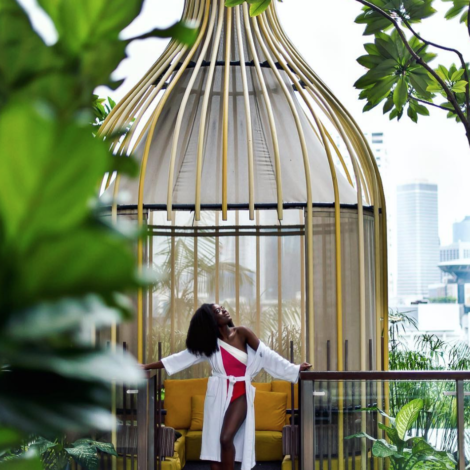 When I tried it on the second time I felt the same excitement as the first time and it was at that moment that I definitely knew it was the one." 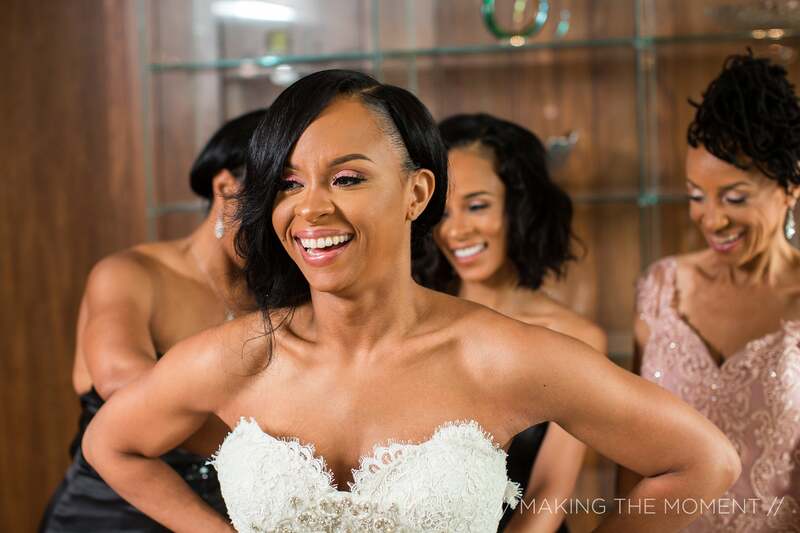 The bride couldn't help but smile the biggest, brightest, most beautiful smile on her wedding day! 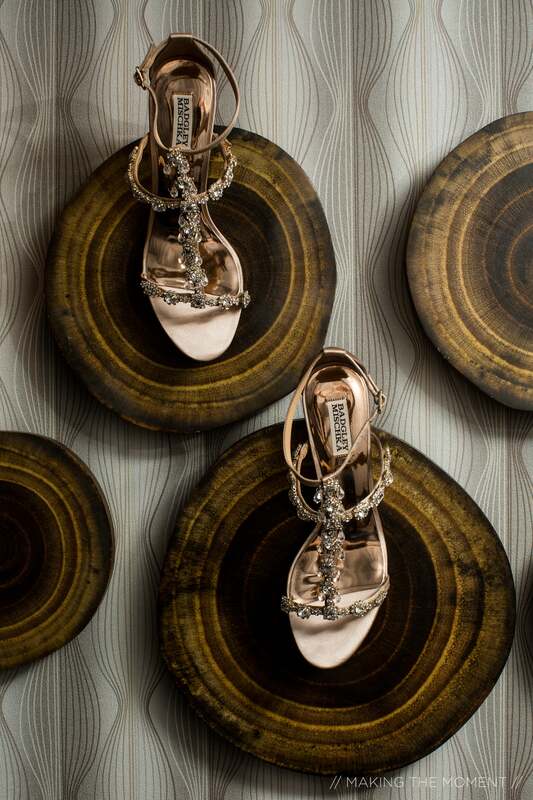 Naeemah didn't hold back on bringing some bling to her Bridal look with these gorgeous shoes! 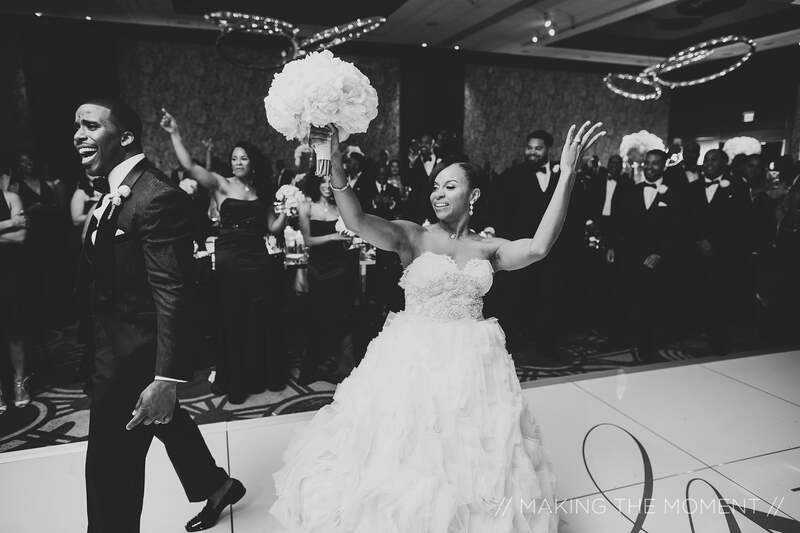 "What I love most about him is that he makes always makes me laugh even in the most difficult times," shared the bride of her groom. 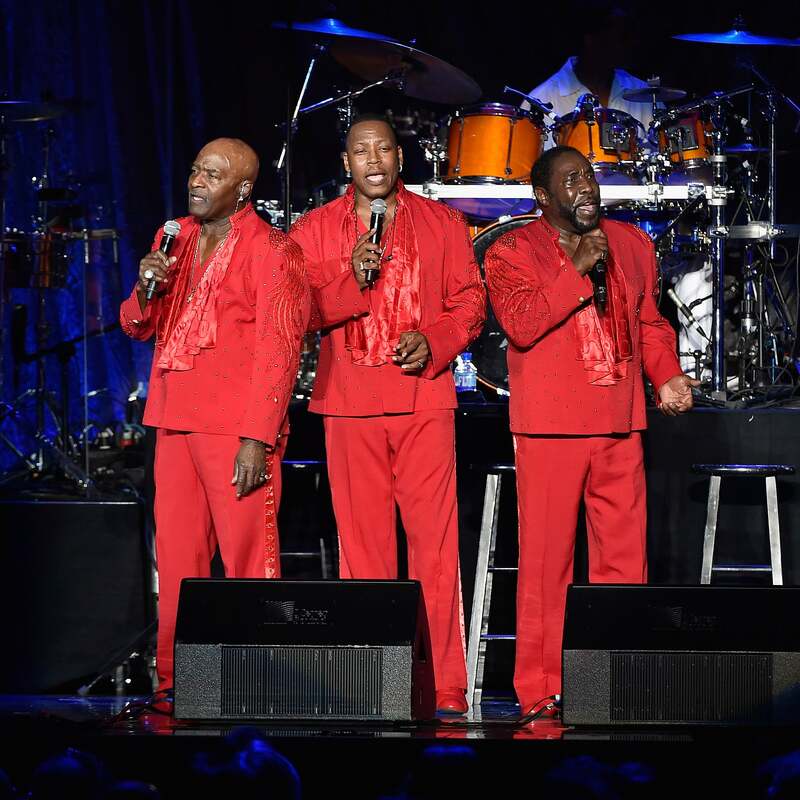 "He’s very supportive and keeps me uplifted. I also love the fact that I can talk to him about anything and we share a lot of the same interests and goals in life. He’s my best friend!" 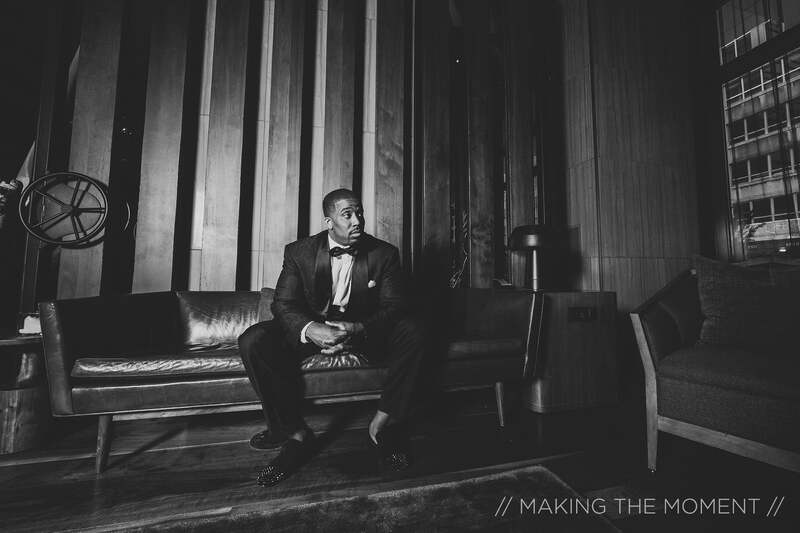 "What I love most about her is that I can talk to her about anything," said Daven. 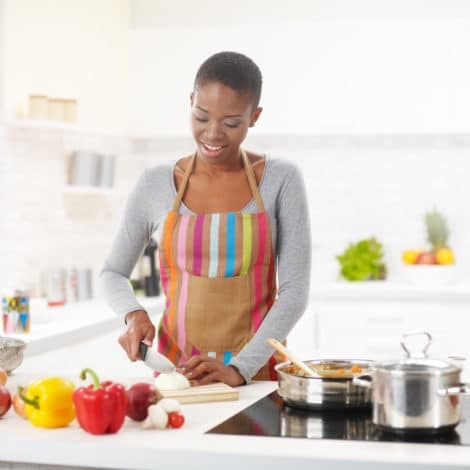 "I also love how understanding and compassionate she is." "Naeemah is smart, intelligent, goal-oriented and loving," the groom said to describe his new bride. 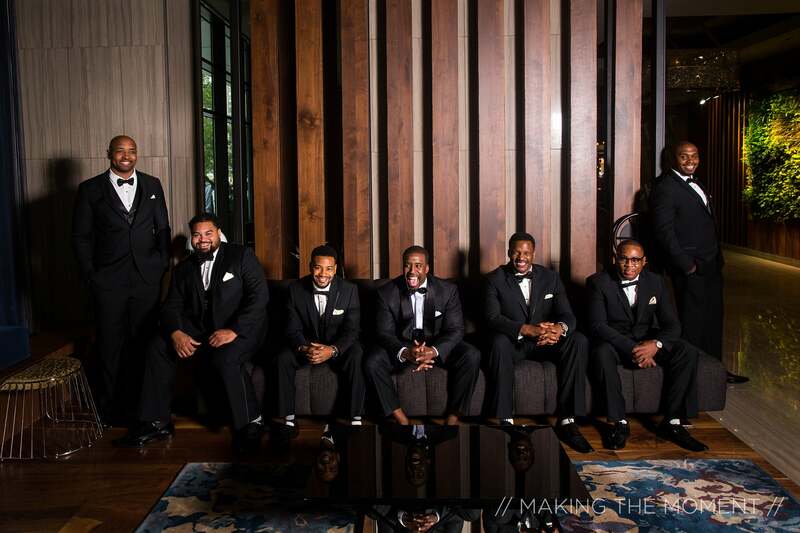 Daven had some dapper dudes by his side on his big day! Everyone looked so great! 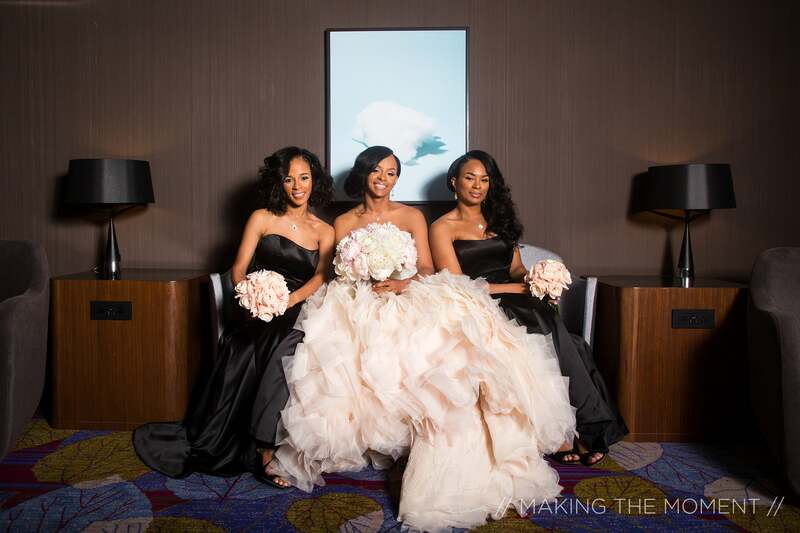 Two of Naeemah's sisters served as her matron of honor on her wedding day. How sweet! 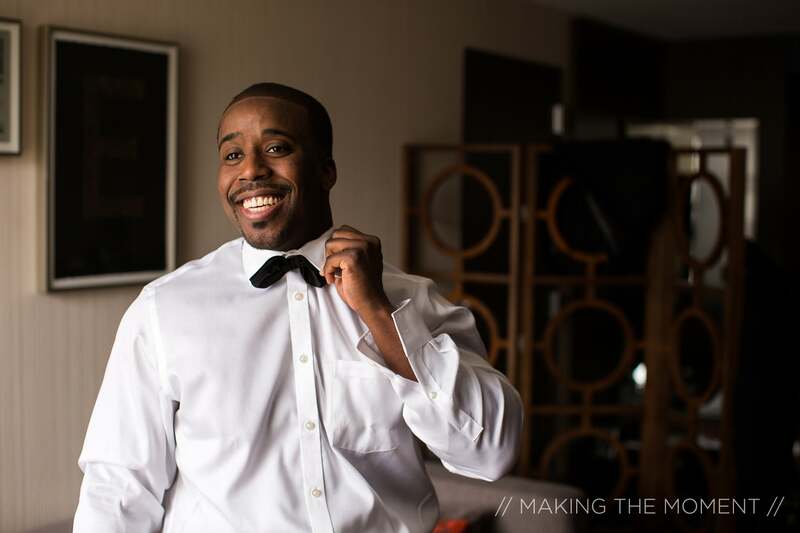 "Daven is smart, charismatic, funny and athletic," shared the bride. "He’s very generous, compassionate and hardworking. 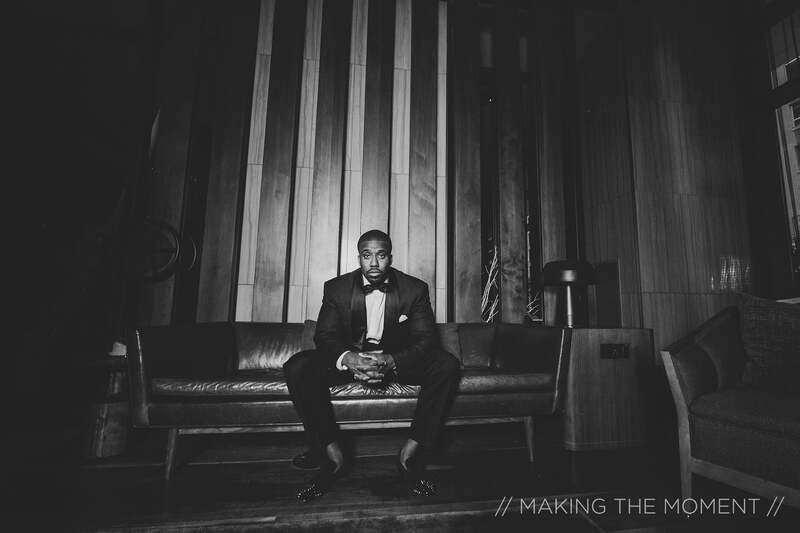 I really admire his faith and strong family values." 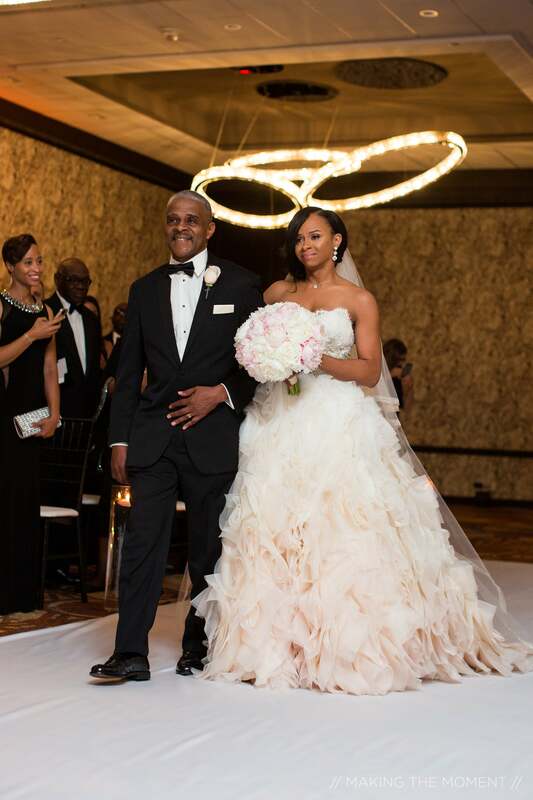 To stick with tradition, Naeemah had her father walk her down the aisle. What a precious daddy-daughter moment it was! Daven managed to keep it together while waiting for Naeemah to make it down the aisle. He fixed his bow tie as he fought back tears. Great distraction! 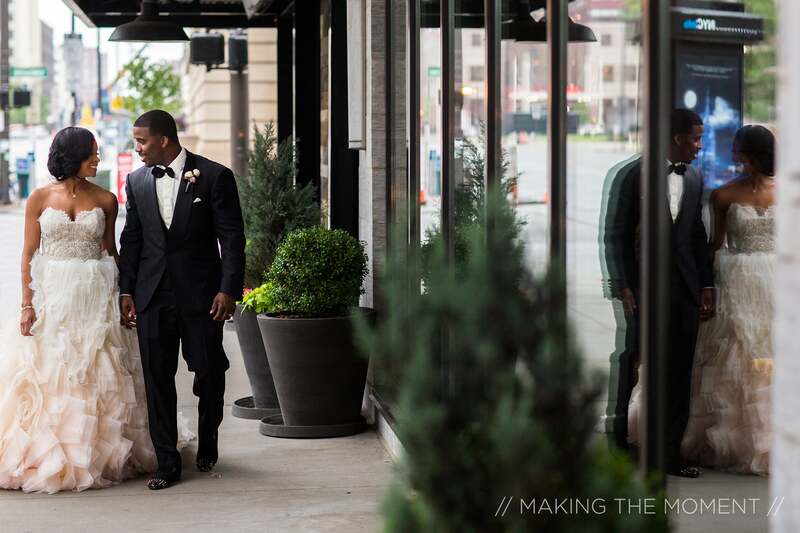 "I felt overjoyed," shared Daven of how he felt looking at Naeemah at the altar. "I felt with everything that we’ve had been through, all the years that we spent dating and all the good times that we shared together, this moment had finally come into fruition." 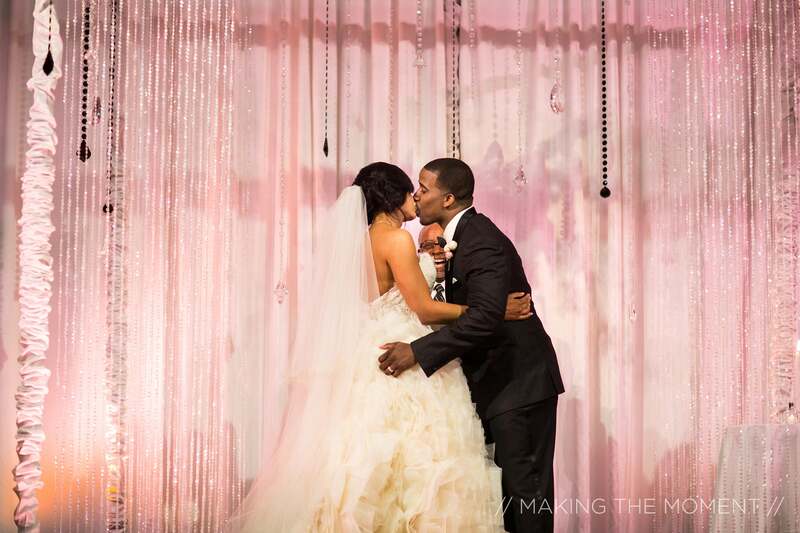 Just like that--Daven kissed his bride! 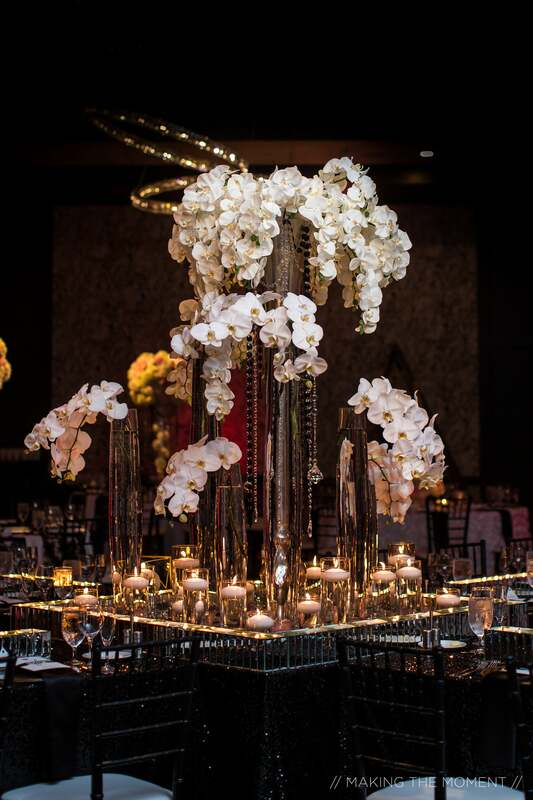 To execute their modern chic theme, Naeemah and Daven had Orchids everywhere during their ceremony. Great choice! 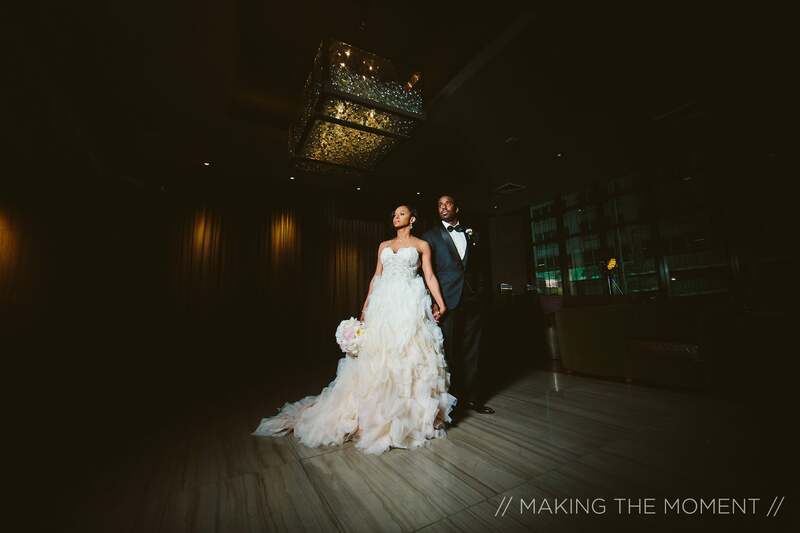 "I said yes to Daven because he not only completes me but he understands me," said Naeemah. "We truly are a team. We support each other in everything that we do. Also, we both come from very close-knit families and share similar family values, which is important to me. And he always makes me laugh!" 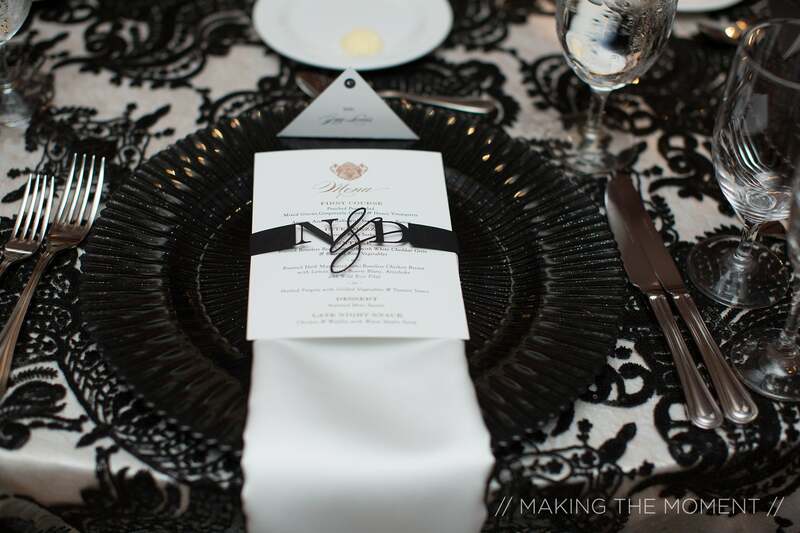 Naeemah and Daven made sure every detail of their wedding could be enjoyed by their guests for the ultimate wedding experience. How chic! 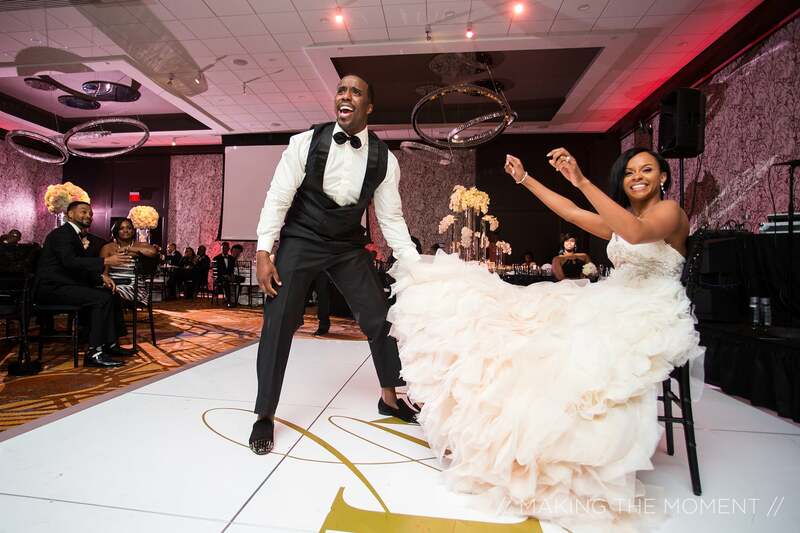 After tying the knot and taking their love to a whole new level, the Mr. and Mrs. entered their reception to "New Level" by ASAP Ferg! 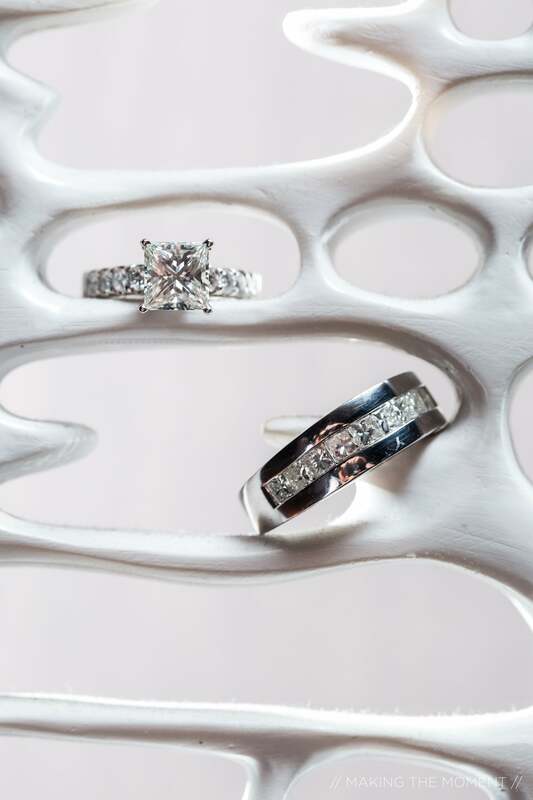 Let's all take a moment to swoon at these rings! "I knew he was the one shortly after we met," shared Naeemah. "We just connected on so many levels. There was nothing that I couldn’t share with him. After we met I could never stop thinking about him and at that time I knew he could be the one. As time went on we endured a lot of ups and downs in life together and with each experience my love for him grew stronger and stronger." 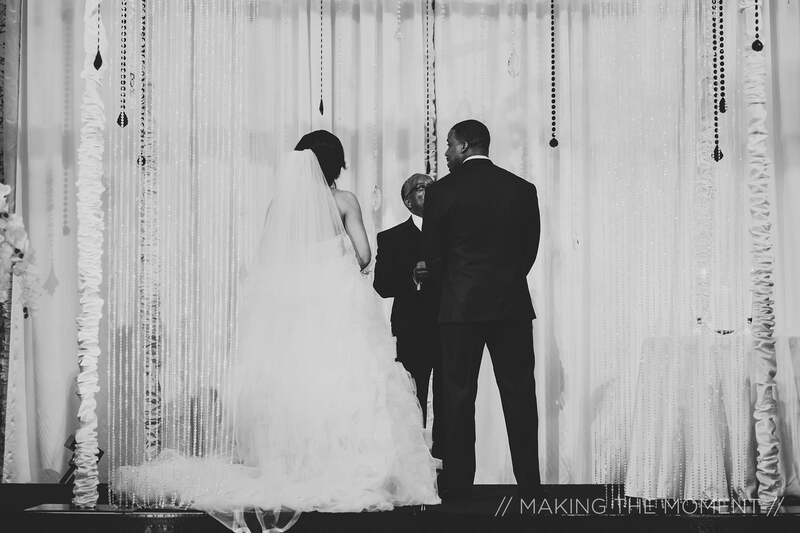 Naeemah and Daven cut into a gorgeous and yummy four layer cake! 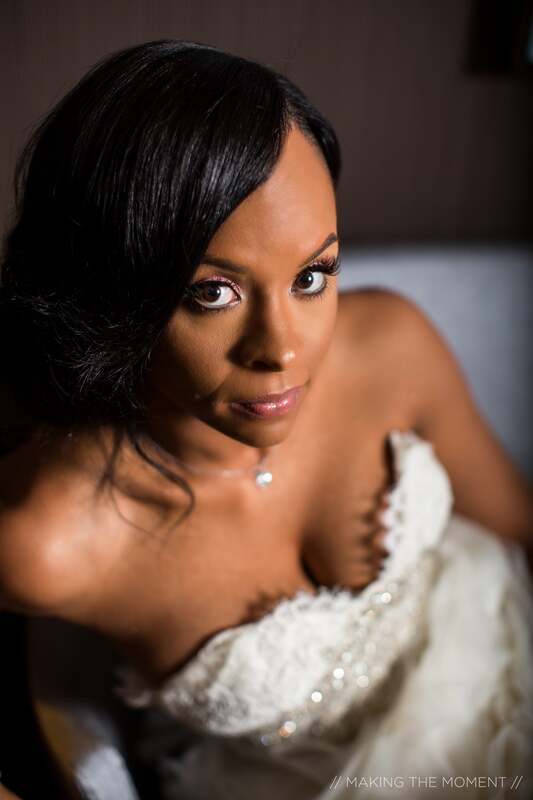 "I choose to make her my wife because she is understanding, easy to communicate with, very loving and very supportive of everything I stand for as a man," said Daven. 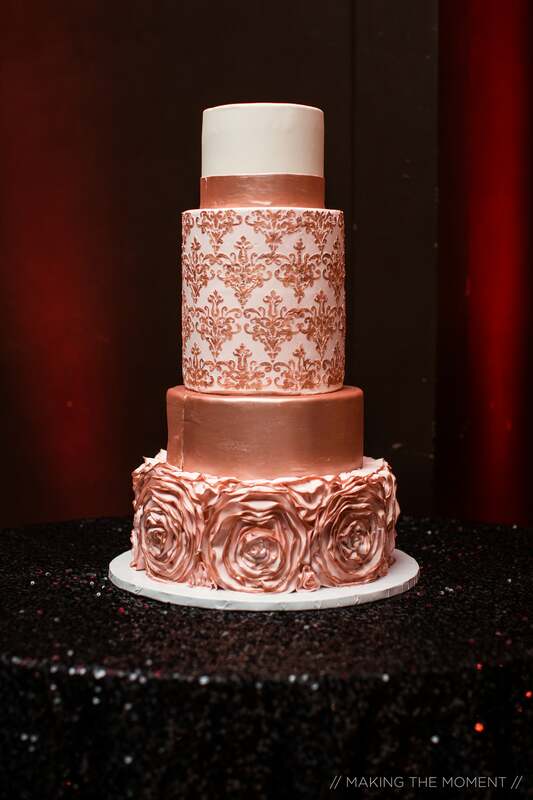 "Because we wanted guests to be up mixing and mingling and of course partying, we decided to forego “serving” traditional wedding cake," shared the bride. "Instead, guests found in the lobby just outside of the ballroom a dessert bar that extended almost 20’ filled with our favorite mini sweets and treats." 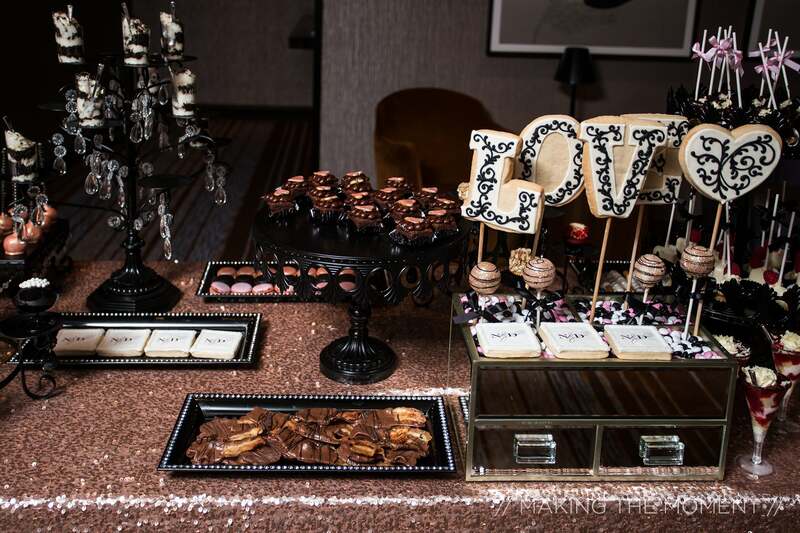 Naeemah and Daven had macaroons, oreos, parfaits, pretzels, mini cupcakess--you name it! "I realized she was the one when we connected on so many different levels," said Daven. 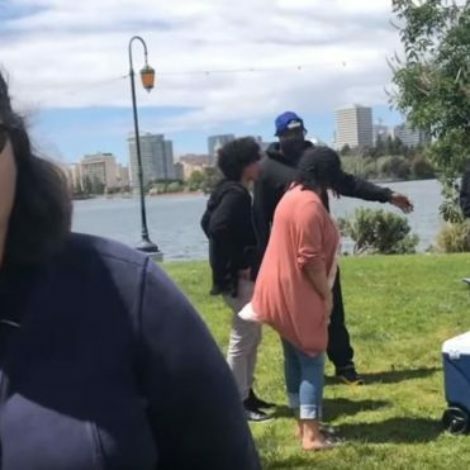 "Our life goals were similar, she had a strong family background and we had a strong physical connection for one another." 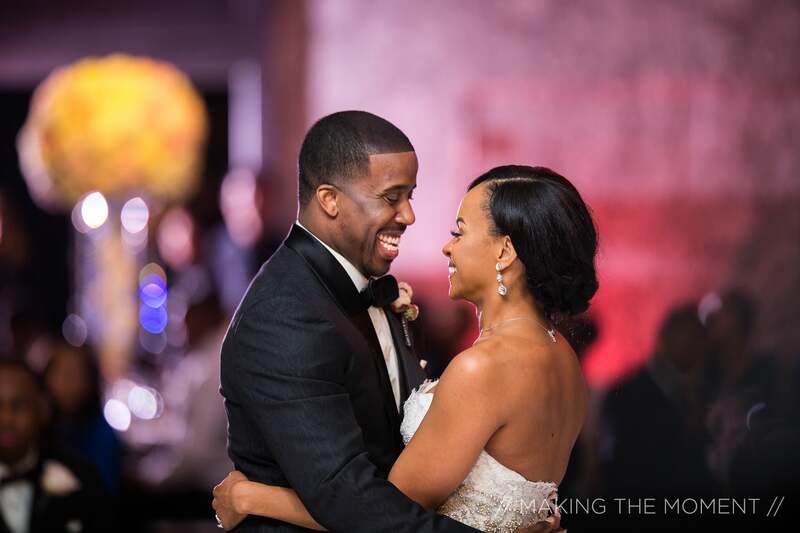 For their first dance, the bride and groom shared a moment to Anthony Hamilton's "The Point Of It All." 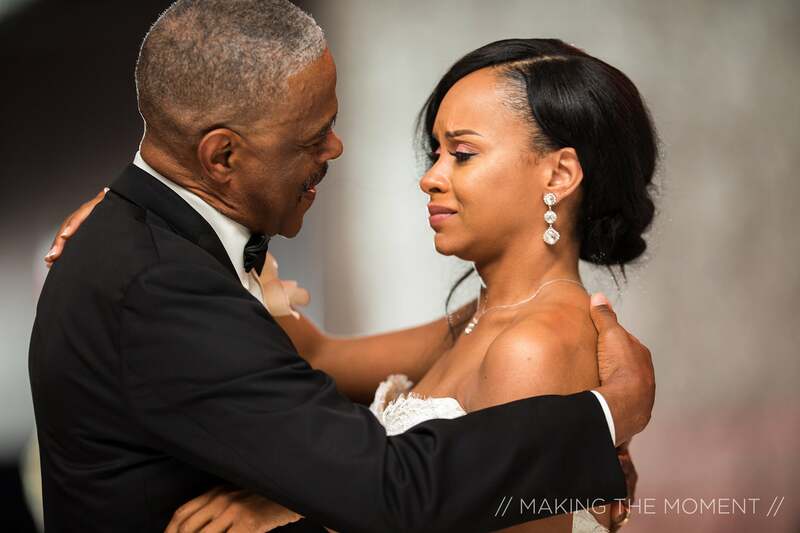 While dancing with her dad, Naeemah shed a few tears with the first guy in her life. 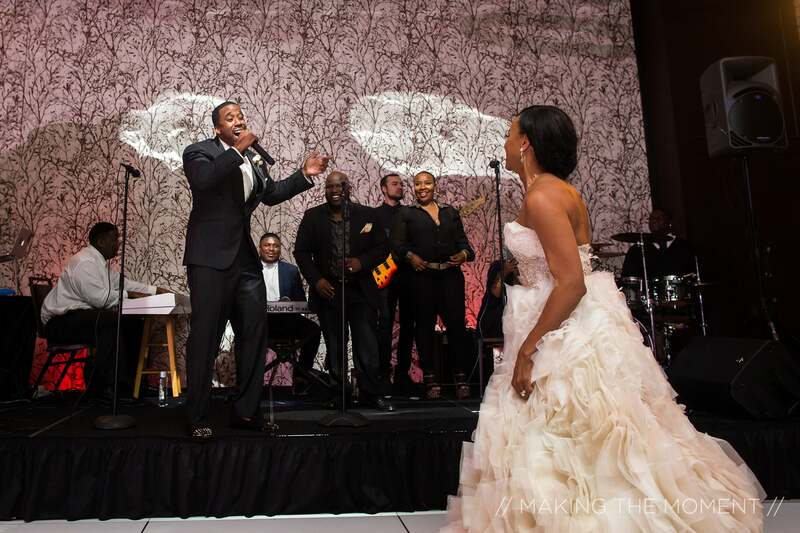 During the reception, both the bride and the guests were in for a treat with the groom hopped on the mic and sang a song to his new wife. How special and sweet! 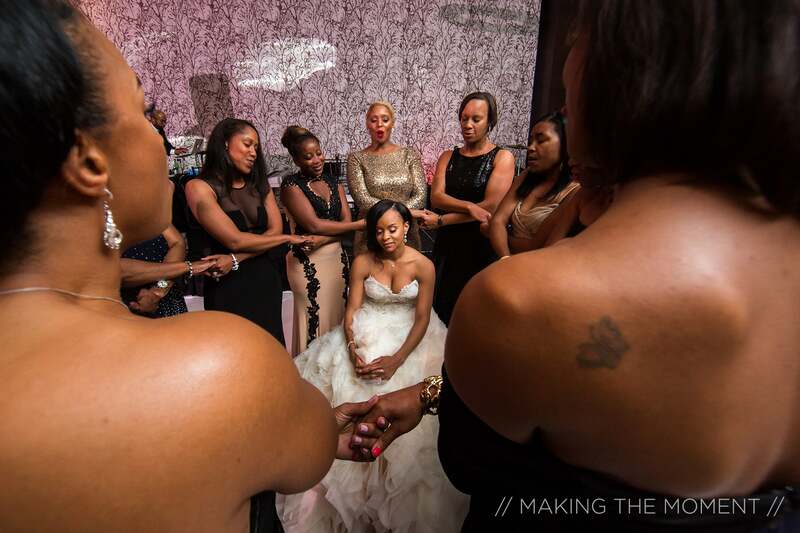 Naeemah's sorority sisters surrounded her in love on the big day. 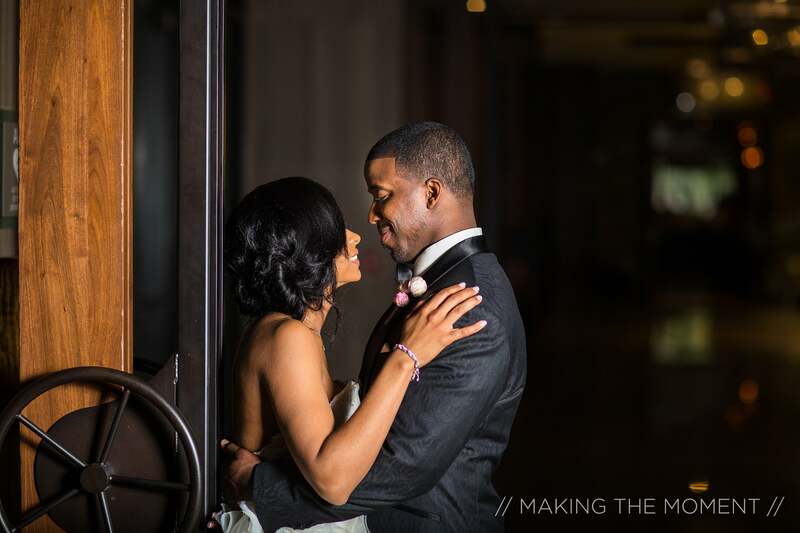 Daven and Naeemah were all smiles all throughout their reception. Now this is what fun looks like!